Real “Housewife” of Atlanta Kim Zolciak and her boytoy/baby daddy to be Kroy Biermann were the guests of honor last night at Kimmie’s baby shower. No one knows for sure just how far along Kim is, but I swear she should be dropping the load any day now! … it was very extravagant. I have NEVER been to a baby shower where the mom-to-be wears a designer evening gown but hey we are talking about Kim from the hit tv show Atlanta Housewives. She looked radiant as she entered the Grand Atrium in downtown Atlanta wearing Rafeal Cennamo and Guiseppe Stilettos. 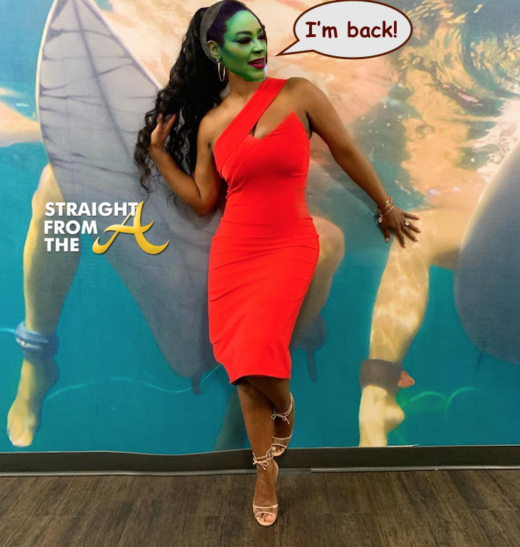 Kim’s loyal assistant Sweetie as well as fellow housewives Attorney Phaedra Parks & Kandi Burruss also came through in support of the mommie to be. 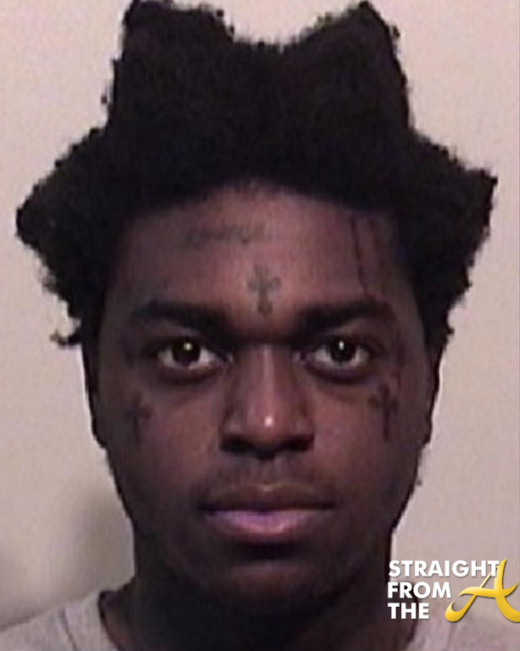 And no… there was no sign of NeNe Leakes. 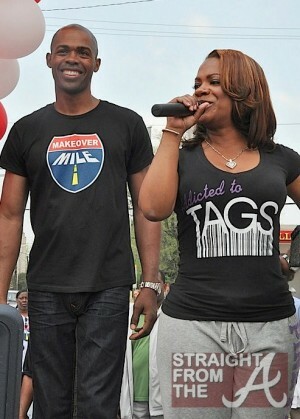 While I was napping at the beach last weekend, Dr. Ian Smith and his crew converged on Atlanta to promote healthy living and weight management. 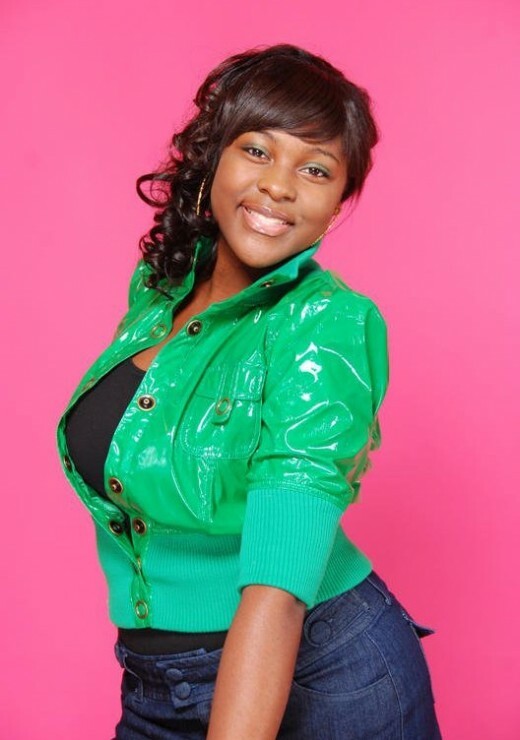 Thankfully my girl Joi held it down for the A-Team and got some great photos! 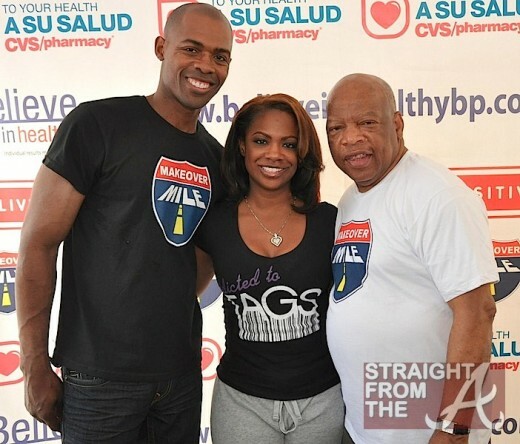 Dr. Ian enlisted the help of RHOA’s Kandi Burruss and Congressman John Lewis as they walked the “Makeover Mile” along with several health conscious Atlanta area residents. The event kicked off the CVS “To Your Health” program in Atlanta with a one mile health walk that ran from Fair Street near the AU Center to CVS on Joseph Lowery in West End. More than 1000 Atlanta residents came out in an effort to fight obesity, walking toward a healthier lifestyle. 15 year old Ashley Jewel was a vibrant beautiful Stephenson High School sophomore but now she remains in critical condition after becoming the innocent victim of an apparent road rage incident March 5th. Jewell, the daughter of thelate A.J. 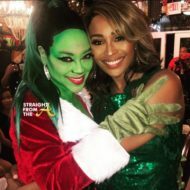 Jewell, a “Real Housewives of Atlanta” personality who was the onetime fiance of Kandi Burruss, was shot in the head during the incident, which occurred in south Fulton County. Multiple shots were fired at the car Jewell was riding in. None of the other passengers or the driver was struck and authorities are still searching for a suspect. About 100 people attended a candlelight vigil and call to action Saturday night to lend support to the family of the injured teen. 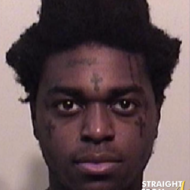 Anyone with information about the shooting is encouraged to call Crime Stoppers Atlanta at 404-577-8477. Family and friends of the teen are pleading that someone comes forward with information on the incident and have also set up a Facebook page which you can visit HERE to offer support or tips. 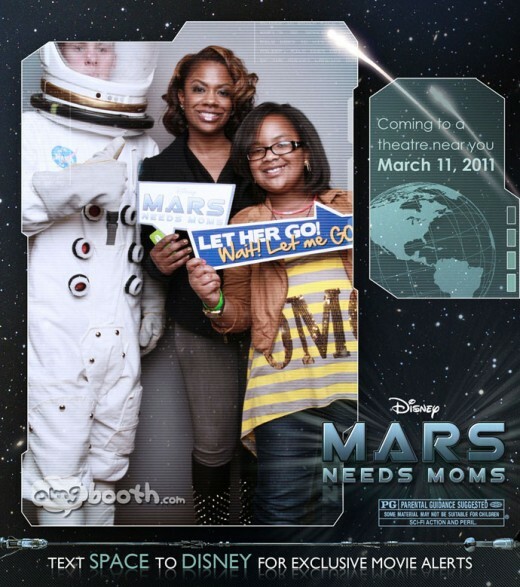 Kandi Burruss of The Real Housewives of Atlanta and her adorable daughter Riley stepped into the OMG Booth at the Atlanta premiere of the new Disney flick, “Mars Need Moms”. 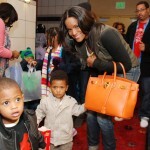 A private screening was held over the weekend at Regal Cinemas in Atlantic Station for a few of Atlanta’s famous moms. 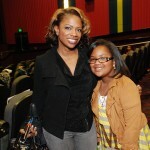 Kandi and Riley say they really enjoyed the movie. 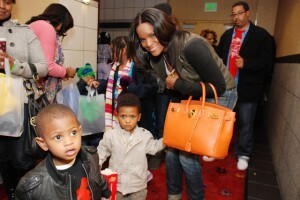 Tameka Foster Glover Raymond and Usher’s two mini-mes, Usher V (Cinco) and Navyid also attended the screening. The good news is that Meka kept the drama to a minimum and her jealous streak was kept well under wraps… at least for the kids sake. 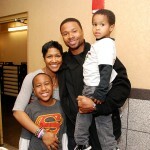 If you recall, Tameka went ballistic a few months back when Kandi innocently mentioned Usher was attractive. 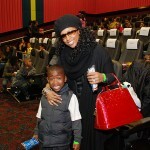 Actress Terri J. Vaughn & family and Sharlinda Parker (wife of Q from 112) and son also attended the screening. 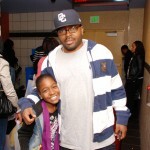 And before you thing that Dad’s were excluded from the screening. 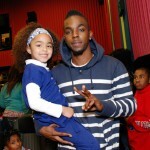 Rapper Roscoe Dash brought his cute lil daughter and so did Amir Boyd of Grand Hustle. 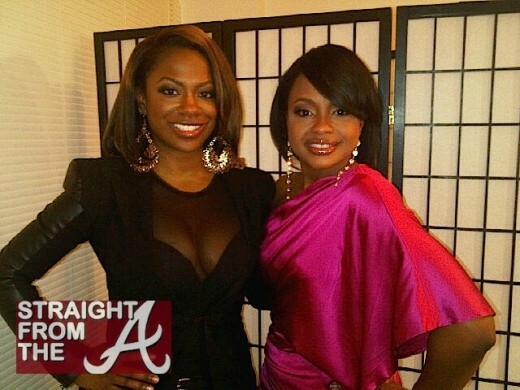 My two favorite “housewives” Phaedra Parks & Kandi Burruss hit up the “What Happens LIVE” last night after the airing of Part 2 of The Real Housewives of Atlanta (Season 3) Reunion Show. Don’t they both look AMAZING!!! 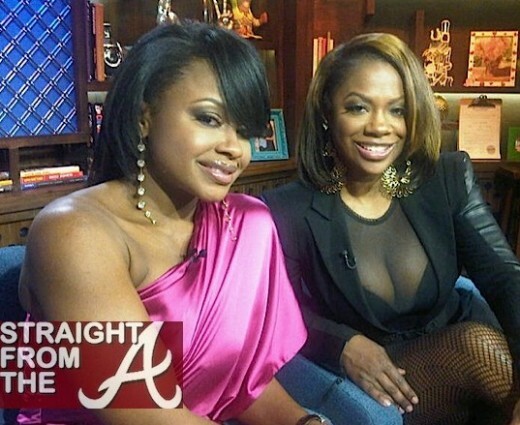 NeNe Leakes wasn’t even on the show but still managed to throw a few shots at Phaedra. 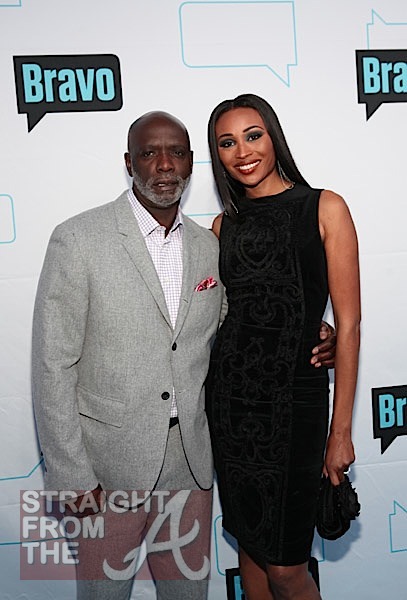 Well… season 3 of RHOA is finally over so hopefully peace will fall upon our great city once again.